I have recently found a drawing of Ariel I did for fun a while ago and I thought it was a good idea to publish it. The original sketch is by artist Glen Keane, the colored version is mine. This has been made in Photoshop. To accomplish this result I set the opacity of my brushes at a low level. This way when the flow of the same color crossed (water versus deeper water/shadow) it gave a feeling of watercolors. When two different colors crossed (like hair and water) they gave the impression of dirt color, which I think is more realistic than a perfectly colored drawing. 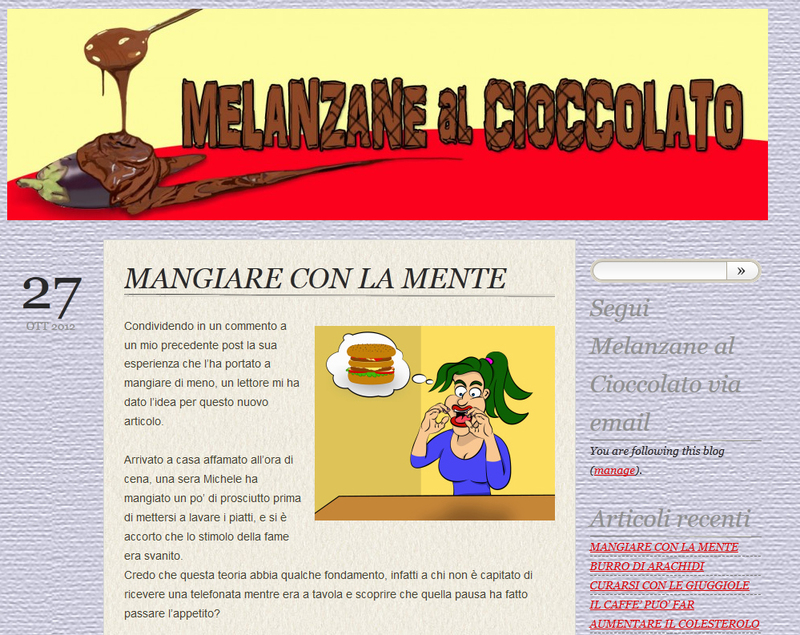 I would like to thank the site Melanzane al Cioccolato for publishing my drawing on eating with your mind. This is a site that talks about how to follow a healthy lifestyle and gives you ideas for eating well and intelligently. If you speak Italian, this is a place that I definitely recommend you to visit. 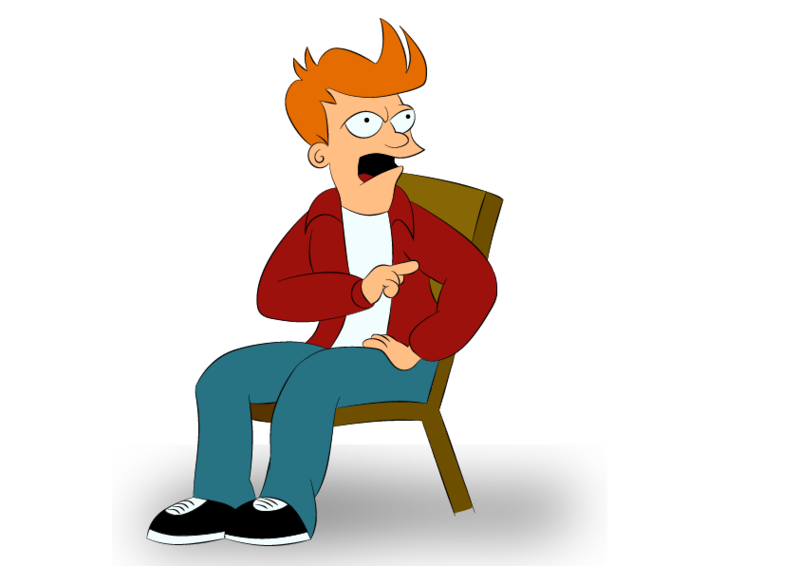 This is the result of a challenge I took with myself: I watched an episode of Futurama paying attention to as many details as possible, and then I drew Fry just using my memory. Although he’s not exactly as the original one, I’m happy with the result, and I think the most of you will recognize him at first glance. I think it’s a good exercise to improve your skills as an Illustrator, and definitely a fun one.